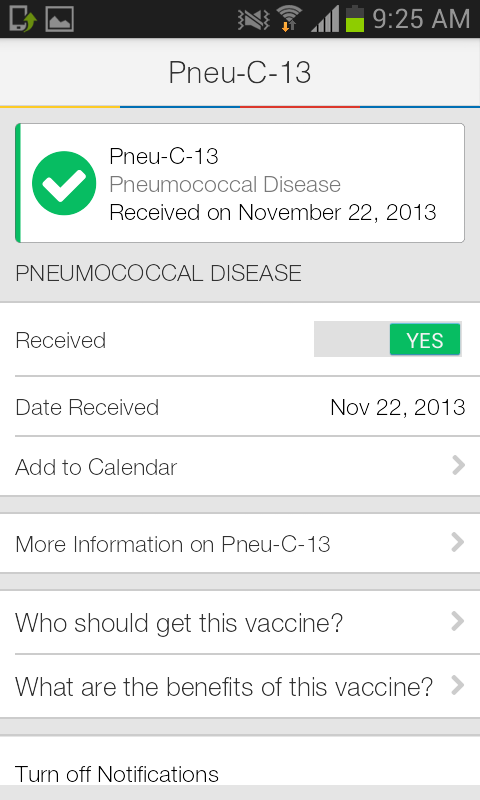 If you’re like me, you have trouble remembering when your next vaccination is due or what it will be for. Keeping track of our paper vaccination records can be cumbersome. Did I file it in the right place? Is it still in the glove box?? Did I already book the next appointment? 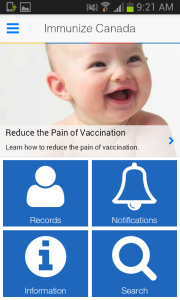 There is now a bilingual app for Canadians that will help to keep track of your family’s immunization records. 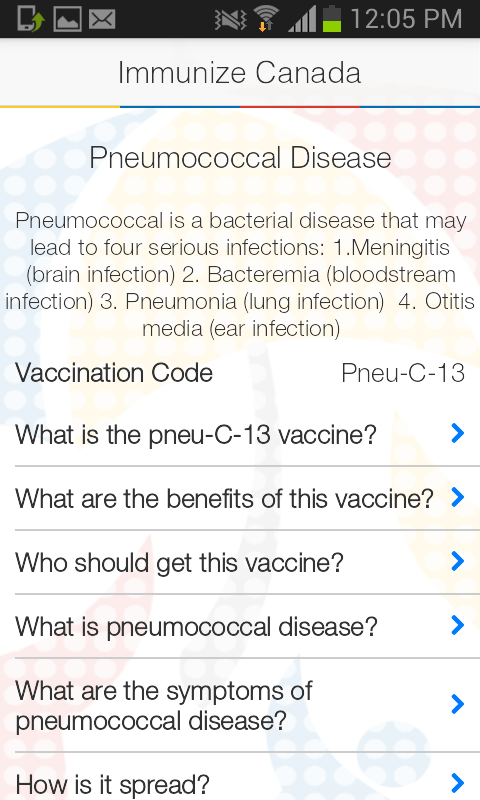 It’s called ImmunizeCA and you can download it for free on the Apple App Store and on Google Play. 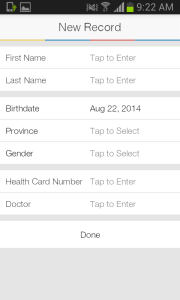 You can create a record for each member of your family to keep everything all nicely organized. 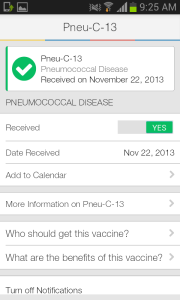 ImmunizeCA will give you easy access to the vaccination schedule for your province or territory. 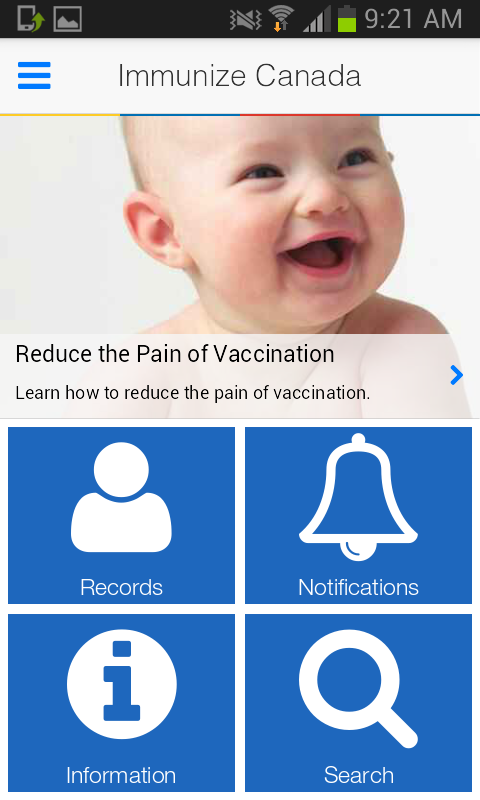 At a glance, you can see a list of your upcoming vaccinations and when they’re recommended. 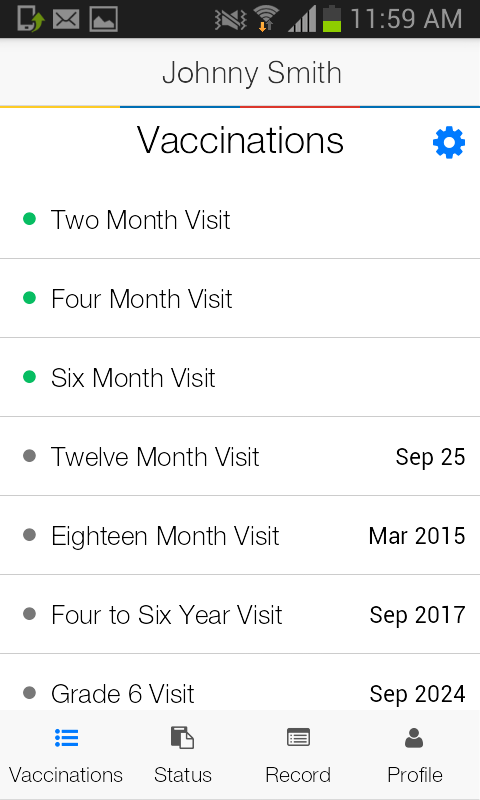 You can also add appointments to your calendar directly from the app. 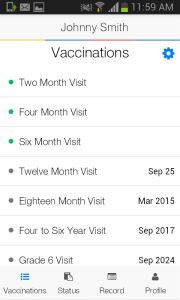 Filling out your vaccination history is as simple as clicking on a vaccination in a pre-populated list and then flipping a yes/no switch to indicate whether you’ve received it or not and entering the date it was received. 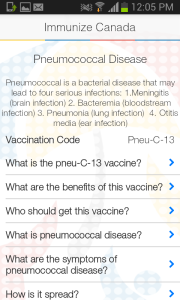 This app also gives you really handy information about the diseases being vaccinated against as well as fact sheets on the vaccines themselves. For our convenience, you can also backup your information to Google Drive or iCloud. 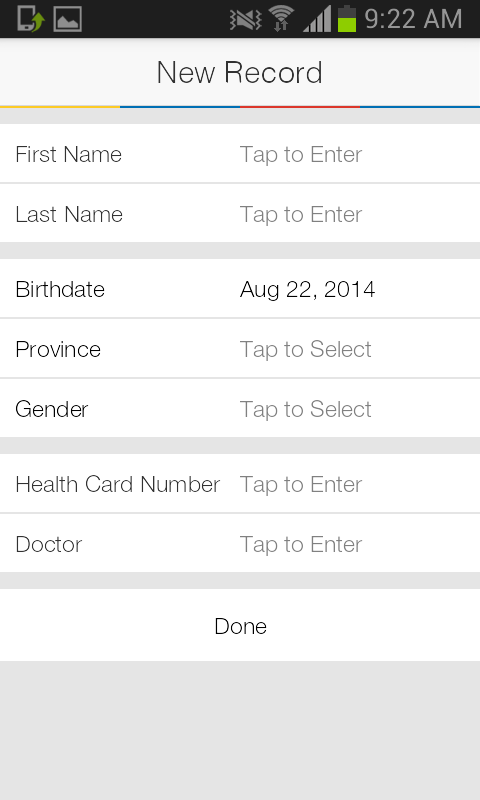 This makes sure you don’t lose your information if you lose your phone or transfer to a new one. This is one of my favorite feature in any app. It makes sure that I’ll never have to spend time re-entering lost information. One other interesting feature of this app is that it will alert you about disease outbreaks in your area. I find this app easy to use and was pretty quick to get started with. I love that all of this information can be at my fingertips in an instant in an easily searchable format. No more depending on my paper filing skills to find out when our next vaccinations are due!